It's no secret that I am not usually a fake tan fan! 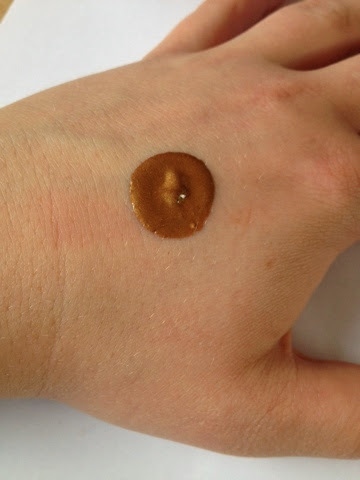 I have fair skin so when I have previously tried fake tans i just look ridiculously orange, so when I was kindly asked by the Baobella team if I would like to try out Karora Wash Off Instant Tan I jumped at the chance! "This Irish company is certainly hitting the right notes with its award winning skincare range which focuses on gorgeous aromas, quality products, natural ingredients and fantastic prices. 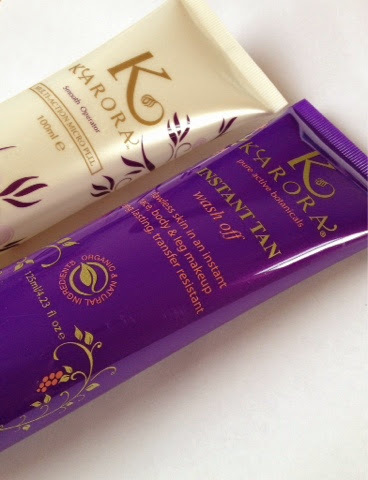 Karora is a company which believes that you can get glowing bronzed skin in no time at all and without any of the risks usually associated with sun-tanning." 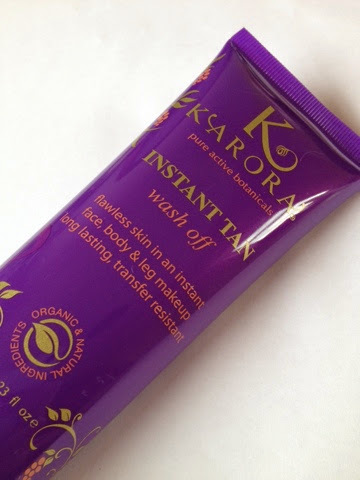 *Karora Wash Off Instant Tan RRP €17.99 which converts to around £14.67 for 100ml. 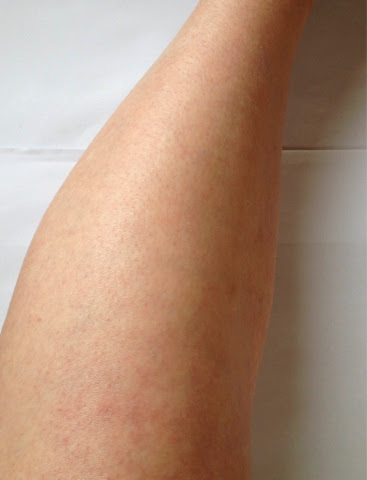 I am very wary of using tanning products but with this being 'wash off' I thought it was great to have a play around with to see if it could give me a natural bronzed tan. 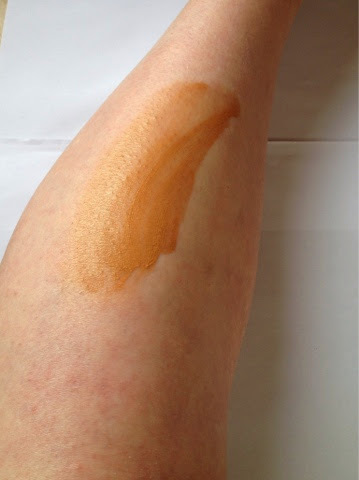 When I put some on my leg I really didn't think it would blend nicely, as you can see in comparison to my skin it looks quite orange toned, but after blending, and you have to work quickly with this product as it dries quite quickly, it looks amazing! Below is not a before and after picture! Left, my first attempt with far too much product! So as you only need to use a tiny amount of product this makes it really good value for money. The product washes off instantly with soap and water, perfect! Have you heard of Karora before? 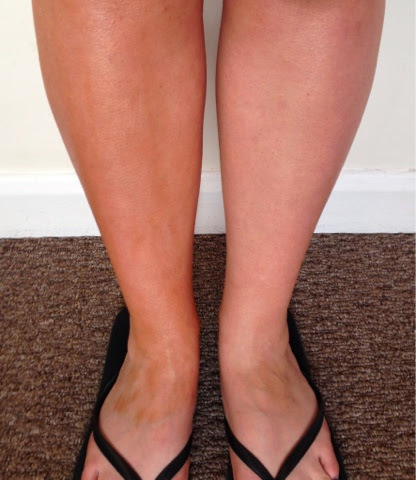 Do you fake tan, gradual tan or instant tan? 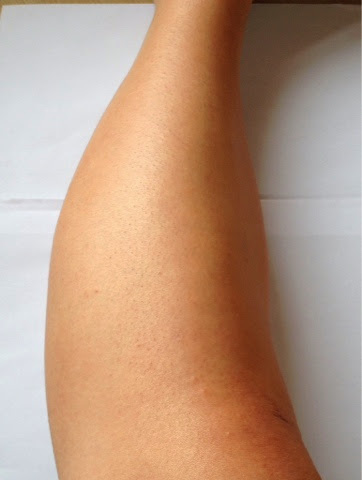 I have another tan related post coming up next week, this time on a gradual tan!